First, wrap a flexible measuring tape around your wrist and record the value. 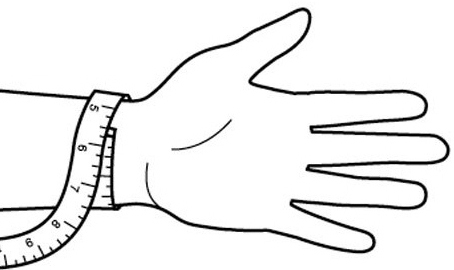 You can also wrap a string around your wrist and then measure the size with a ruler. 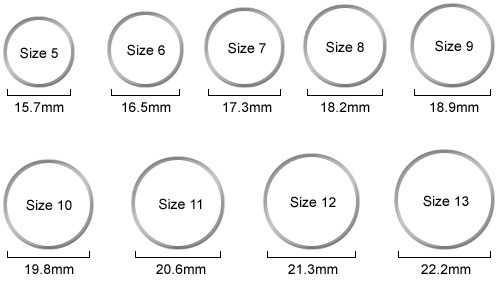 keep in mind that the average pendant length is between 0.75" - 2", (2cm-5cm) We need to remember to include this number when calculating desired bracelet size. Our bracelets come in size 5 thourgh 8, as well as half sizes. Our bracelet chains also include a 1" (2.2cm) chain extension which can be removed. First, you must decide where you would like the necklace to fall on your chest. Our smallest necklace chain, 16" falls approximately to the collar bone, with the 18" falling about 1" below the 16". keep in mind that the average pendant length is between 0.75" - 2", (2cm-5cm) We need to remember to include this number when calculating desired necklace chain length. 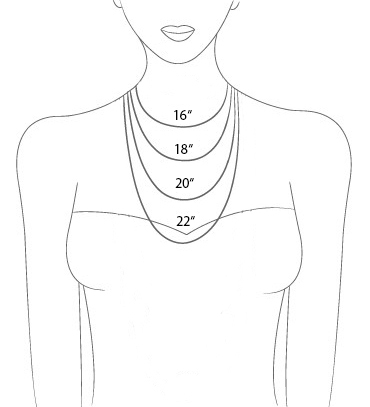 Our necklaces come in sizes 16", 18", 20" & 22" and may include a 1" (2.2cm) chain extension which can be removed. Use a string or cut out a thin slice from a sheet of paper and wrap it around your finger. Measure the length of the string or slice of paper and record the value. 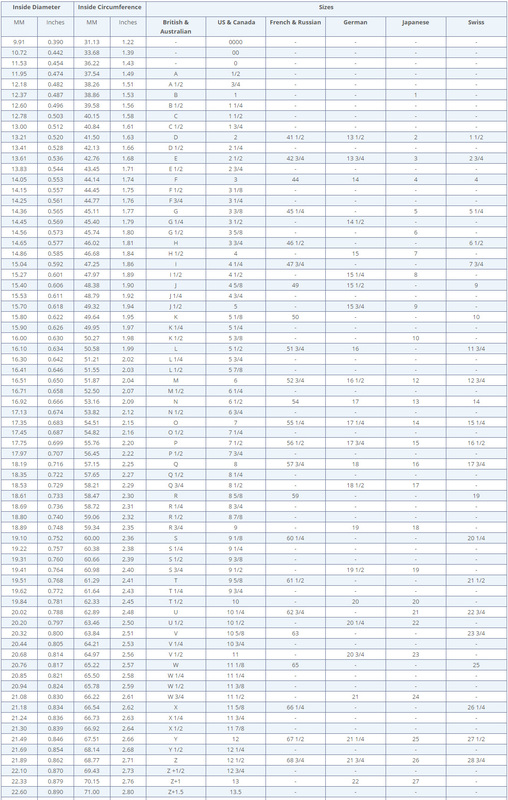 Please refer to this chart to determine exact size. To get a broad estimation of your ring size, measure the diameter of your finger and compare it to the diamgram on the left. It is crucial to be as accurate as possible when measure ring sizes. If possible, visit your local jewelry professional to measure your verified ring size.